Pass out business cards whenever you are out and about. Economical, smart and of course...cute!! 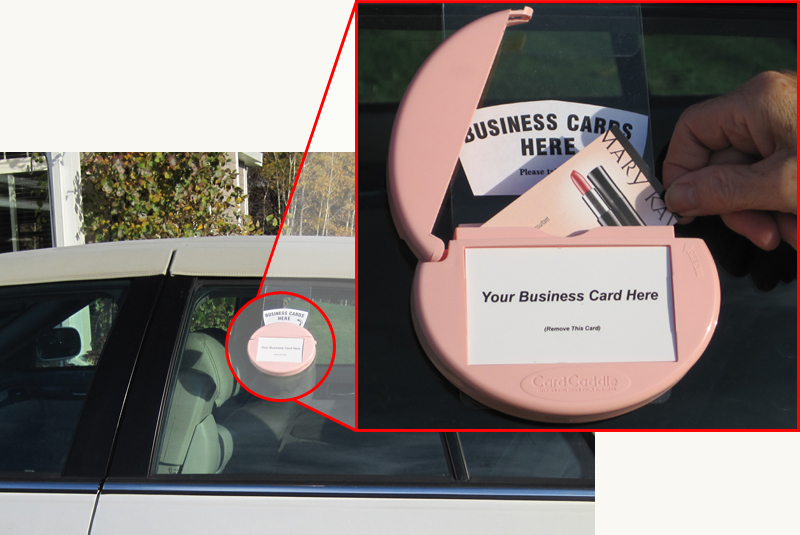 The Card Caddie attaches to your car window or to the removable acrylic Window Hook (Order separately) with VHB tape (Very High Bond) and will not harm your vehicle. Card CaddieReg. $14.95 SALE $8.50 EA.